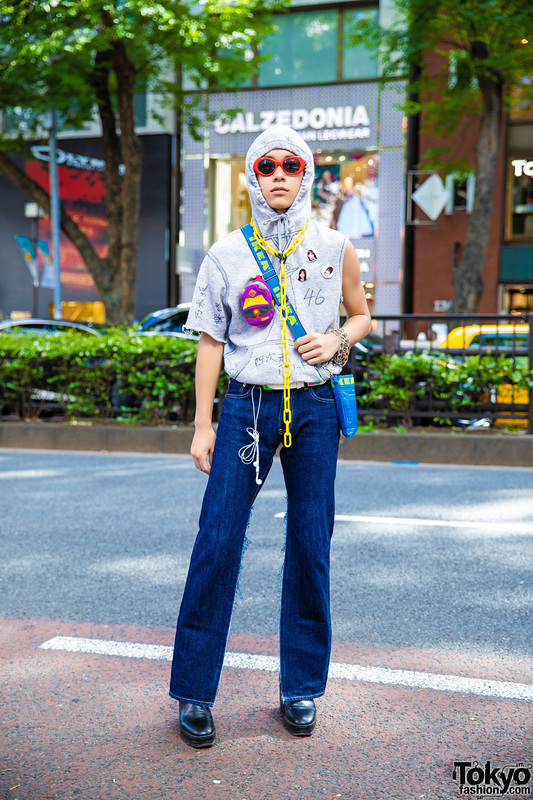 It’s hard not to miss Kaiya in his customized streetwear style on the street in Harajuku. 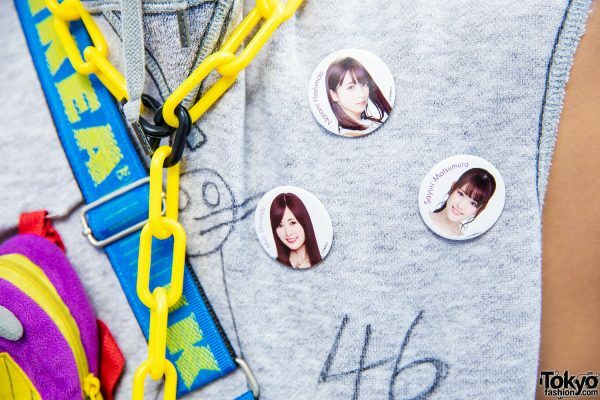 Kaiya stepped out on the street wearing a grey hoodie top from Uniqlo, which he remade with one sleeve ripped off, drawings and kanji letterings, and Nogizaka 46 badges pinned to his chest. He paired his hoodie top with denim pants with inner fringed slits from Uniqlo, and cinched it with a white belt with neon details. 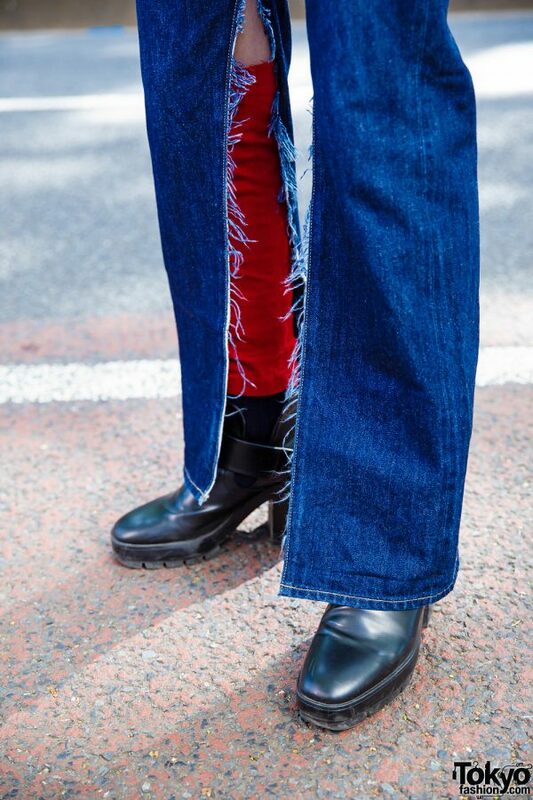 He finished off his style with black ankle boots from Zara, red legwarmers, and an IKEA crossbody bag. 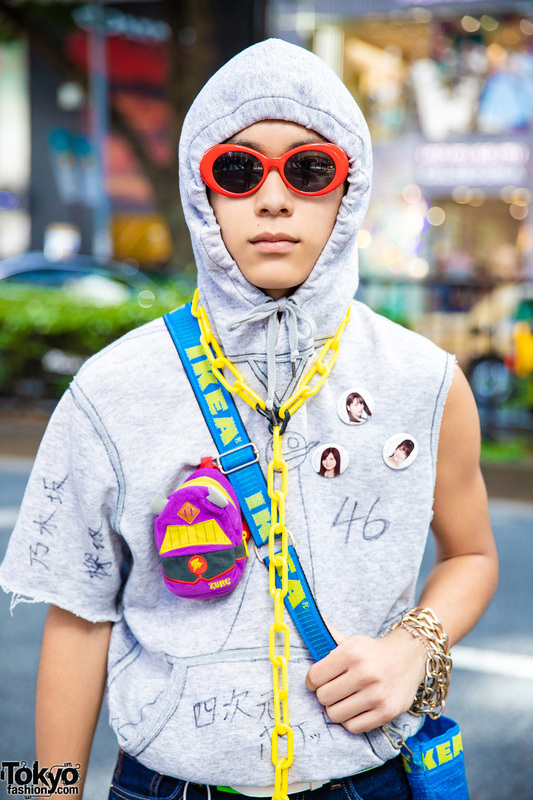 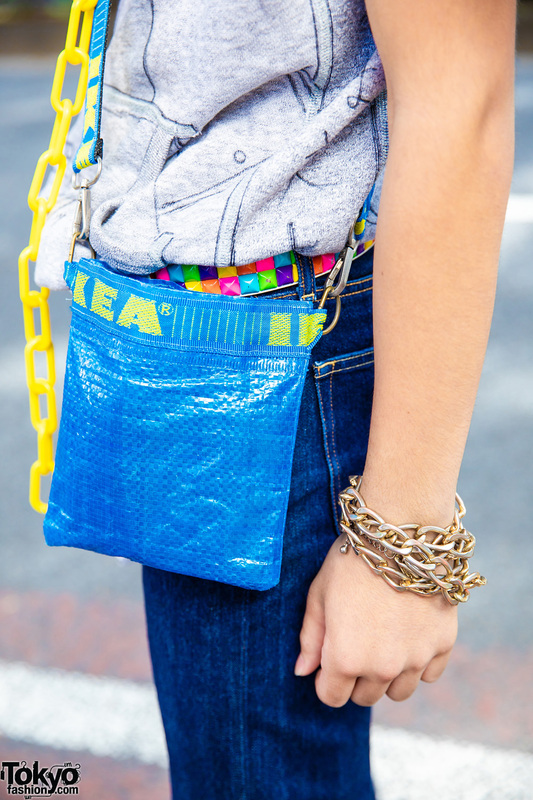 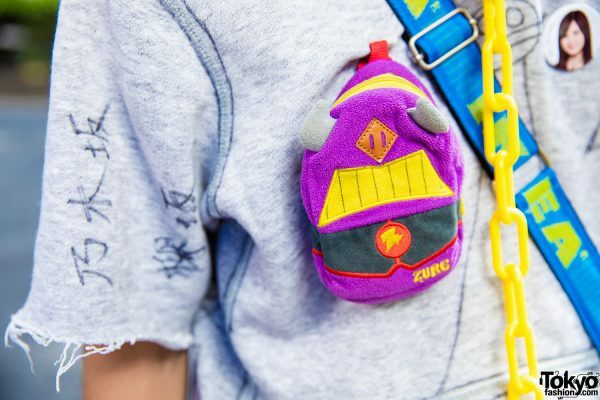 Finally, the 18-year-old accessorized his look with red-framed WEGO sunglasses, a yellow chain Y-necklace, multiple chain bracelets, and a Zurg plush coin purse pinned to his top. Kaiya loves to listen to the music of Nogizaka46, and he is active on Twitter and Instagram.